Cuddled With Love Valentine Class Pack 24 PC Set Only $9.99! You are here: Home / Great Deals / Amazon Deals / Cuddled With Love Valentine Class Pack 24 PC Set Only $9.99! These are so cute for kids/friends/coworkers valentines! Head to Amazon to get the Cuddled With Love Valentine Class Pack 24 PC Set Only $9.99! 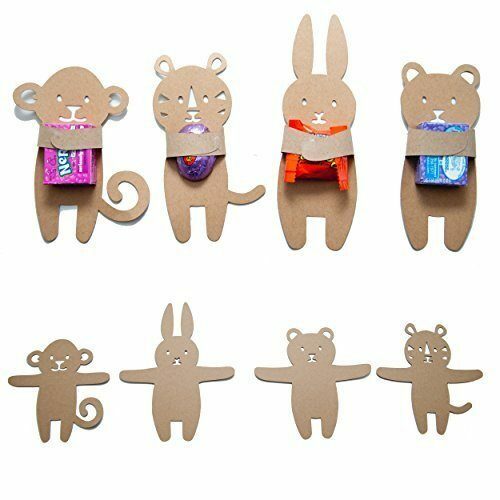 Includes 24 paper animal cutouts, each 5″ tall. Comes with double sided tape in the shape of a dot that you can put on the inside of the hands to hold them together and hold candy or other object.